Some recent games might have brought back to you some old nice memories and you would like to carry all your old favorite video games in your pocket? 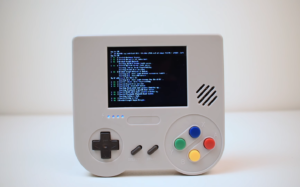 8B Craft is proud to present you RaspiBoy, the handheld game console that will enable you to rediscover those old games alone or with your friends ! 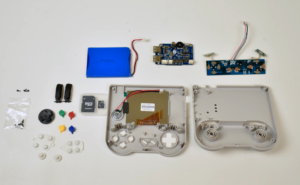 Intuitive and fun kit to build a handheld game console! No soldering, easy build and highly instructive! Raspberry-pi kit emulating old game systems. Rediscover those old retro games alone or with your friends ! Have a look at the shop ! You can either get a full kit or shop for stand alone components. Maybe you only want to try the 8BCraft PCB for your own raspberry-pi project? You can get any components too! What they say about the kit! This is the easiest portable raspberry pi that I've ever put together! Hey! I have got mine last week working like a charm! I am proud of the outcome and feel very happy to have supported it! They liked the video so far at least! Be notified when we have stock ! And Raspiboy is the first product but we definitely plan to make other awesome kits ! Suscribe to get the product release news. PS : We won't spam or give your email to anyone, and you can unsubscribe anytime !